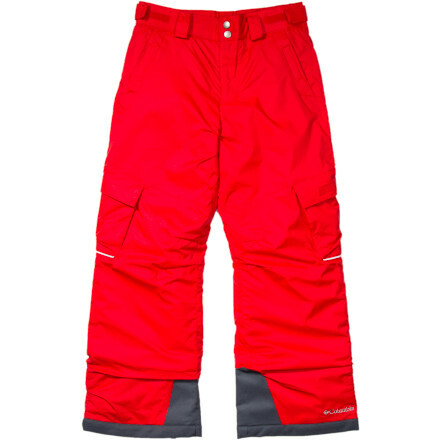 The Columbia Boy's Ice Slope II Pant is an ideal snow pant for a young man who loves to ski and snowboard on bluebird days. 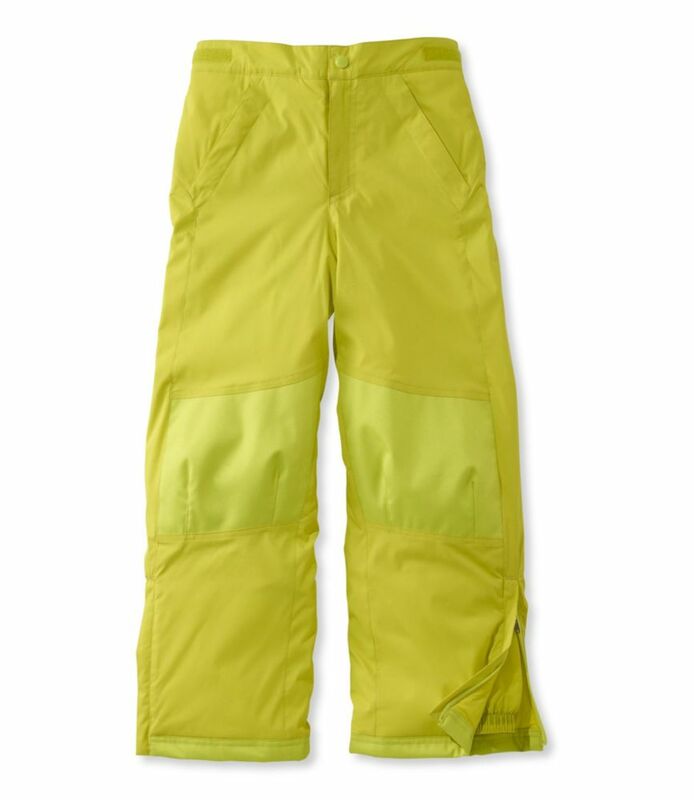 This pant's Omni-Shield coating repels wetness from snowball fights and dripping chair lifts. Don't worry about getting a new pair mid-season either--the grow system lets you extend the legs to accommodate growth spurts. Construction: Waterproof fabric. Insulated. OUTGROWN grow system. Adjustable waist. Internal leg gaiter. Reinforced cuff guard. Imported. Fabric: Shell: 100% nylon HC 3000. Lining: 100% nylon 210T Taffeta. Insulation: 100% Microtemp, 60g. Cold can put a damper on winter excitement for any young adventurer, but not when hes wearing a pair of Columbia Boys Ice Slope II Pants. 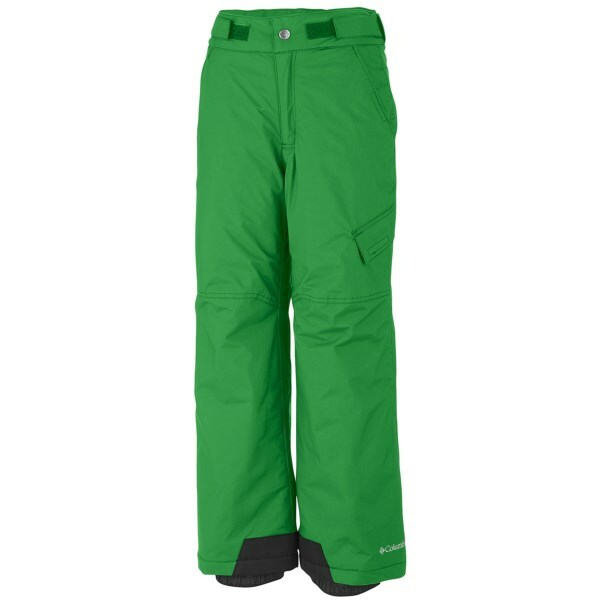 Tough, waterproof nylon shell and 210T taffetalining lock moisture out to ensure fun in the snow. 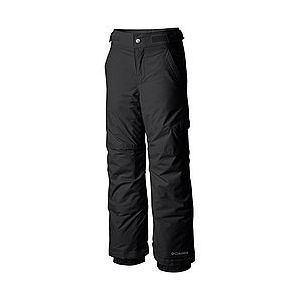 60-gram polyester Microtemp insulation retains body heat to provide next-to-skin warmth during cold-weather play. 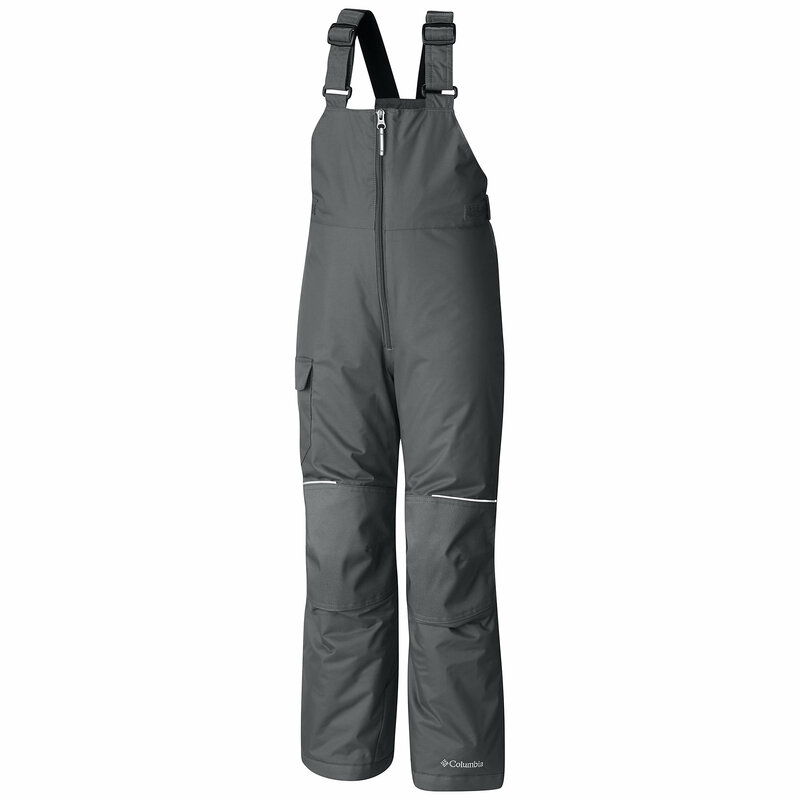 Internal leg gaiters keep snow and wetness out. 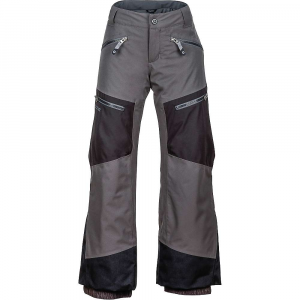 Adjustable waist and innovative Outgrown grow system allows you to add length as he grows for long-lasting wear. Hammerhead reinforced cuff guards for added durability. Imported. Inseam: 22. Sizes: XS-XL. Colors: Black, Graphite. Size: X-Small. Color: Black. Gender: Female. Age Group: Kids. Material: Polyester. Type: Pants.